Same crap happened with BF1. EA told DICE not to say anything because they planned to not have community servers. But there was enough bad PR to force them into a halfa$$ RSP program which missed launch and took over a year to get even the most basic features wrong. I'd expect the same, nothing. Maybe we get the same absolute garbage RSP, but sadly I think the days of propper server management and control from EA as company are gone. I'll lurk around to get confirmation of that, but I never bought BF1 because of the server issue. It's sad, I had played ever PC BF game up till BF1...of well. Chances are they're going to monopolise server rentals under their own Rental Server Program like they did with BF1. They know this isn't a popular thing with the community so they won't go into anything regarding servers. They aren't even commenting on whether or not the game will have a server browser. I will not be suprised if they remove the server browser or severely limit its usefulness this round. The supplemental revenue model for this game is clearly going to be micro-transactions. Starts primarily or solely as cosmetics. Over time, slip in gameplay items. They eventually want complete control of the matchmaking experience. This allows them to join you with players whom have specific equipement/cosmetics that EA's data tells them you are more likly to purchase. Join you with players equipping that stuff, so you see it used in-game. "I keep getting killed by people with guns having the improved silencer. Maybe I should just break down and purchase that. Hey, neat! It's only $2.29 for the Blitzkrieg Pack right now. It even comes with that awesome emblem I can put on the back of my tank. FrackJags has one of those on his tank. I saw it on the stream last week. It looked freaking awesome. I'll buy it"
The longer term goals of this are even more insidious. Track you outside the game and/or acquire more analytics info, profile players, and use this information, combined with manipulated matchmaking to target you in-game. All the more reason for not to pre-order till you know exactly what your paying for...it's easy to get caught up in the hype and let the smoke and mirrors influence your decision . It'll be futile to start complaining about what we wanted in the game after we buy it, even thought if the masses complain it will take months for anything to be done... then we can only blame ourselves. The supplemental revenue model for this game is clearly going to be micro-transactions. Starts primarily or solely as cosmetics. Over time, slip in gameplay items. I quite like BF4 and Battlelog, everyone was against this in the beginning but soon got used to it and loved it, then they got rid of it and used the server browser for BF1 which is less intuitive than Battlelog and less featured. Totally agree..I'm all for change, but it need to be for the better of the gaming community ..
That's why I saw red flag go up when they were asked if there will be dedicated servers, only to answer,.."I can't comment on anything like that right now"..
Not being able to answer such a very basic question is a concern, to me it indicates they may be looking for change and not for the betterment of the gaming community.. The community servers are excellent but in bf1 EA servers are rotten, the settings are too low. I hated Battlelog. Using a web browser to launch a game felt korean F2P cheap and it was a nightmare to play with more than one computer on the same IP. BF1 server browser wasn't great either. In fact it was atrociously poor compared to every other game since the 90s with filters that work some of the time and only capable of displaying 100 servers at a time but I'd much prefer an ok server browser over Battlelog. It will never happen but I do wish they would remove snipers from the class selection and find a better way to implement them. I agree. I've been a fan since it was first released. Super convenient to browse and join servers and looking at our soldier pages with the avatar and stats was pretty cool. I wish they never got rid of it. The functionality of Battlelog should never have been separated from the core game itself. That is/was an asinine design decision at it's most basic level. Battlelog itself was cool being able to track stats and whatnot. It should just never have been a separate browser. Console users loved it because it was a bonus for them. But for PC users it was a major step backwards in functionality. I'd love to think we might one day get a decent solution, but not as long as EA is pulling the strings. Same reason I suspect BFV is going the SWBF2 automatch direction. I bet we get totally hosed and get nothing for servers at all. Battlefield has been always a community / clan game (PC) - at least it used to be and rented servers are the thing that is keeping BF4 alive. We need rented servers and they should go further than BF1 did with admin tools etc. Server browser is needed for the game. Next BF is going to it's roots, I hope that means we could have a good rented servers. I'm holding my order until I get info to this... BF V looked good but rented servers is way to go. I suspect Dice will handle BF V servers the same way they did with the BF 1 servers. 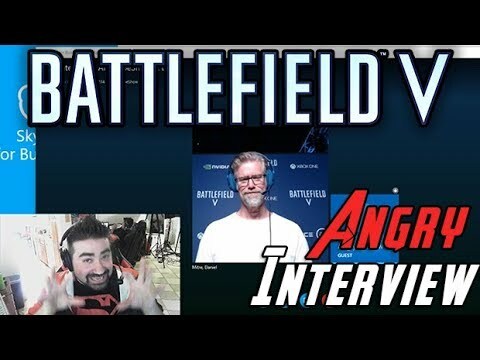 There will be a lack of regional servers requiring Dice to compensate with BS netcode / lag comp which in turn creates the same high ping OOR BS we have now. The RSP program will be the bare bones mess it currently is. Pay money to rent a server you have little control over with a lack of proper admin tools. 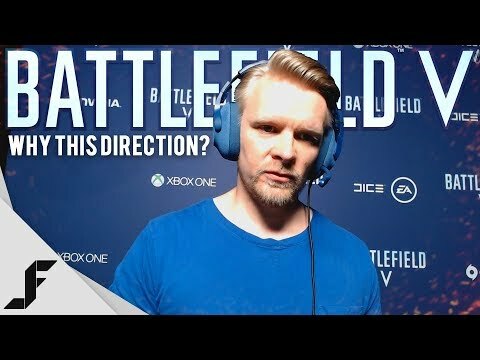 There is a reason Dice is refusing to discuss servers and RSP and I suspect its because people are not going to like what they will hear . If anything look at how they handled BF1's servers and RSP. High Quality In-Region Servers for All Players. Dynamically Allocated Server Resources for Ultra Smooth Gaming. RSP Program so you can choose from our many industry respected server providing partners. Live Admin for proactive abuse/cheat response. We really need dedicated server to make this work for our community. Else it will be just like BF1.